As a child I was not taught much about the U.S. Constitution, and for the past several years I have become enthusiastic about learning more. 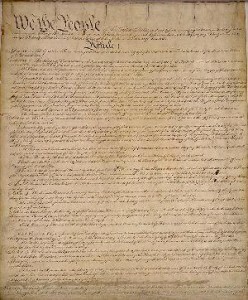 Following are some links that have been most helpful, and ones I recommend to anyone wanting to learn more about this most important Document. Judge Napolitano, a Constitutional Attorney, has six videos that are a must for anyone studying or teaching the Constitution. Number five is my favorite. 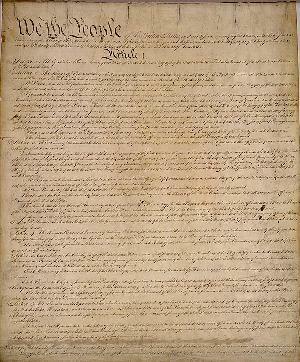 We are often told the Constitution is confusing because it is a “Living Document” open to different people’s opinions. Common Misinterpretations To The Constitution has an interesting link to Webster’s dictionary that shows how word meanings have changed over the years (like the word “welfare” which is used in the Constitution three times. Also available are writings from our Founding Fathers that explained exactly what was intended. This entry was posted in American History, Lesson Plans. Bookmark the permalink.